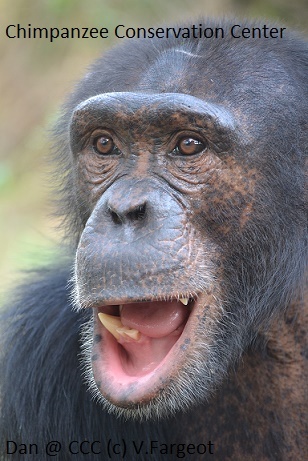 Invasive testing on chimpanzees is now officially over in the USA. Starting on the 14th, at long last, it will be illegal to “take” a captive chimpanzee, which includes any action that harms or harasses the individual (such as invasive biomedical research or abusive training of performing apes). It will also be illegal to sell chimpanzees in the interstate pet trade or to engage in commercial transport of the animals across state lines. Any laboratory, menagerie, or exotic pet dealer that seeks to conduct prohibited activities with chimps will be required to first obtain a permit from the Service (and the public will have the opportunity to voice opposition to the application). Endangered Species Act permits can only lawfully be issued for activities that actually enhance the survival of the species in the wild, so this rule is expected to close out a shameful era of abuse that lasted for a century. Help is on the way for the 745 or so chimpanzees currently in five U.S. laboratories and more in roadside zoos. Now comes the task of an orderly transfer of these hundreds of chimps from laboratory settings to sanctuaries, where the animals will not only have more space, but enrichment and an opportunity to live in social groups that are critical for their emotional health. This Fish and Wildlife Service action follows major movement from the National Institutes of Health and its director, Dr. Francis Collins, who in 2013 announced that his agency will retire approximately 300 federally-owned chimpanzees to sanctuary. The HSUS spent years advocating for these victories, including conducting an undercover investigation at the largest chimpanzee laboratory, filing a legal petition challenging unlawful breeding activity at that facility, securing congressional provisions encouraging the shift, and pushing the NIH to retire all of the federally-owned chimpanzees from the lab. Many others, including former Governor Bill Richardson, D-NM, Senator Tom Udall, D-NM, former Senator Tom Harkin, D-IA, and Representative Fred Upton, R-MI, had a big hand in these outcomes, and we are indebted to them for their efforts. It’s rare to be able to say “this is the end of an era of abuse.” This outcome is one for the ages, and it deserves a pant-hoot from every animal advocate the world over.